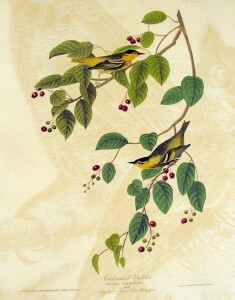 “I shot the two little birds here represented, near the village of Henderson, in the State of Kentucky, in May 1811. 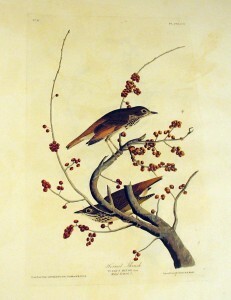 They were both busily engaged in searching for insects along the branches and amongst the leaves of a Dog-wood tree. Their motions were those common to all the species of the genus Sylvia. On examination, they were found to be both males. I am of opinion, that they were both young birds of the preceding year, and not in full plumage, as they had no part of their dress seemingly complete, excepting the head. Not having met with any other individuals of the species, I am at this moment unable to say anything more about them. They were drawn, like all the other birds which I have represented, immediately after being killed; but the branch on which you see them was not added until the following summer. –J. 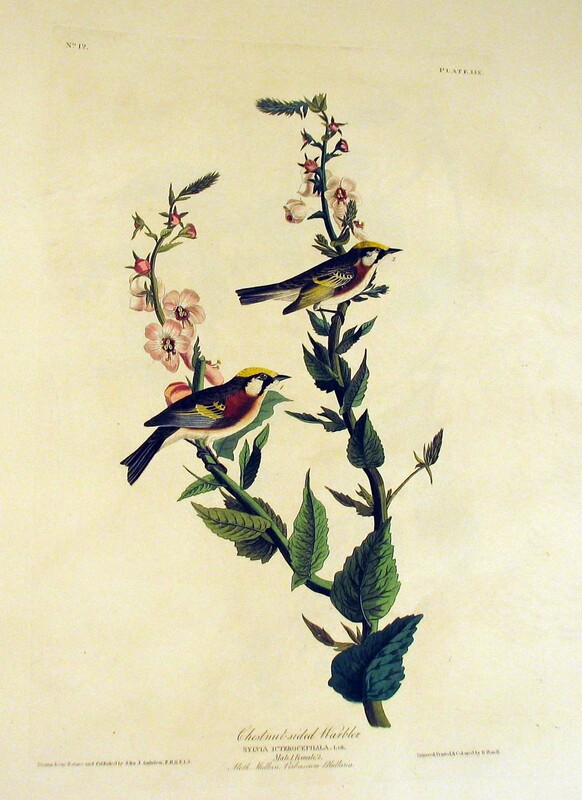 J. Audubon, Ornithological Biography, I (1831), 308 [excerpted]. “In the beginning of May 1808, I shot five of these birds, on a very cold morning, near Potts-grove, in the state of Pennsylvania. There was a slight fall snow at the time, although the peach and apple trees were already in full bloom. I have never met with a single individual of this species since . . .
–J. J. Audubon, Ornithological Biography, I (1831), 306 [excerpted]. 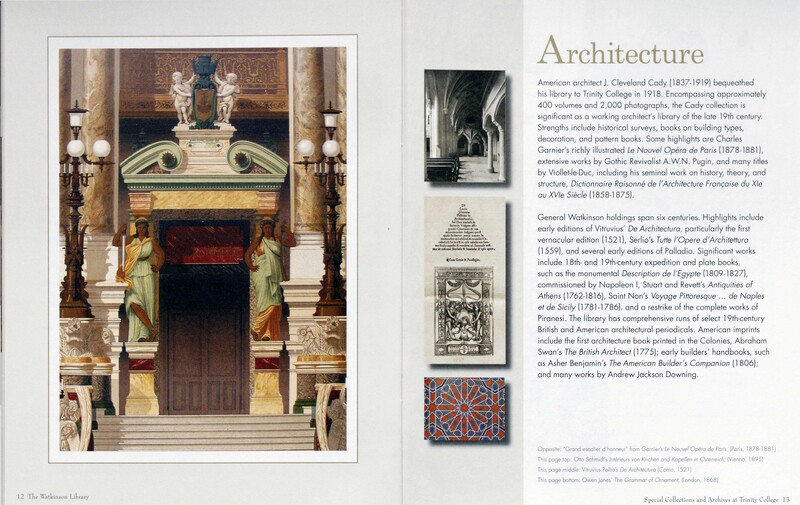 The Watkinson purchased several intriguing pieces from two British book artists this year. Rick Myers visited the library late in 2011 to show some of his amazing art which centers around innovative printmaking techniques with strong associations to historical artifacts and interactions with paper. 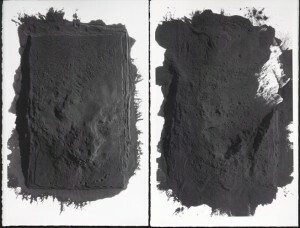 Before and After Breath (2009) is a series of 5 prints from an edition of 37 housed in a thin plywood box. The prints are the result of a forceful interaction between a pre-1908 carbon filament light bulb and a 50 ton industrial tooling press used to crush the bulb between sheets of carbon paper. 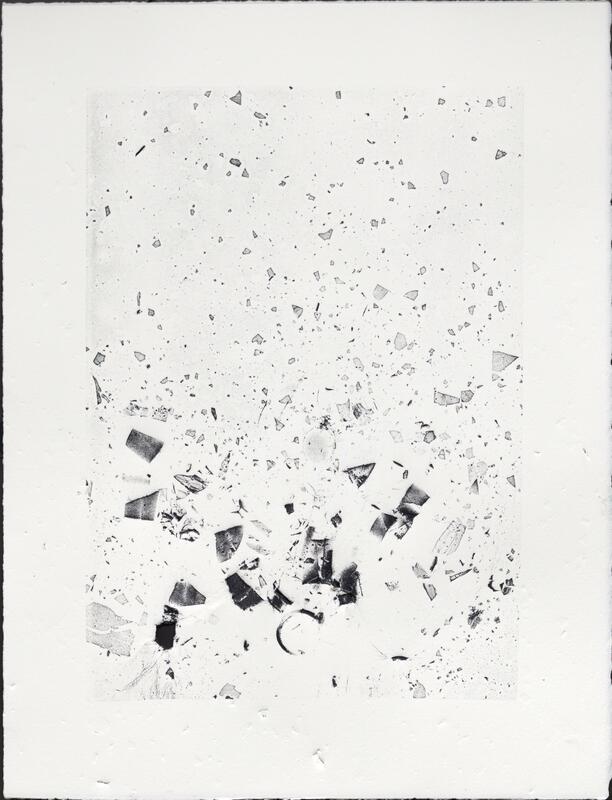 The glass shards, which punctured the paper, and the carbon make successively fainter images with each imprint. Ideas emerge from the event: the release of “breath” after over 100 years of being contained in a bulb, the symbolic use of carbon paper as media since carbon is one of the basic elements of life. 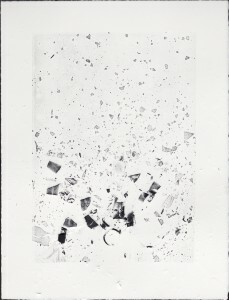 Myers focuses on process and the use of found materials as much as the end result. 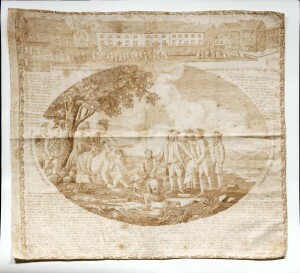 Another recent Myers acquisition is a series of 8 prints entitled Itself , described as a “removal of carbon black xerographic toner, then re-used for its reproduction.” The edition is limited to the quantity of toner, (36 realized.) The texture of these prints evokes the surface of the moon as much as anything else. 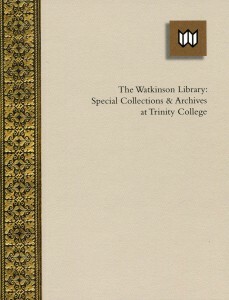 Dictionary Story, written and designed by Winston, is in the form of an accordion book. “From order to chaos and back to order … Dictionary Story graphically illustrates the balance between a world that’s safe but boring and a high risk universe full of creative possibilities.” The graphics of the typography help explain what is happening in the story. 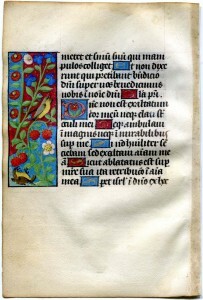 The story runs in one column against the outer edge of the page and the definitions opposite their words in another column on the reverse side. 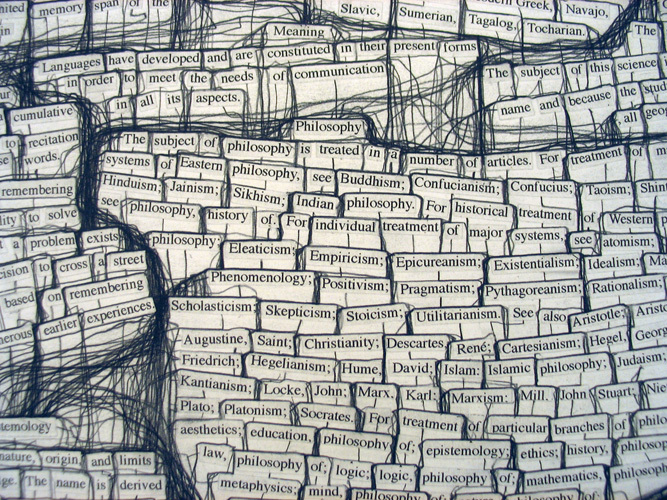 As the characters get out of hand, so does the graphic layout as letters tumble over the pages. Made-Up True Story based on the interaction of different kinds of literature from train schedules to fairy tales is another typographic adventure with a charming story built in. Winston augments the effect with a fury of penciled scribbling. 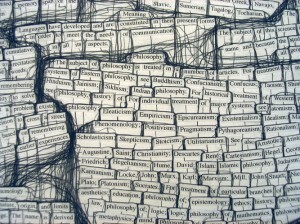 In the Romeo and Juliet series he explores the text of a classic work in an analytical dissection, cutting apart the letters and arranging them into 3 emotional states: passion, rage and solace. 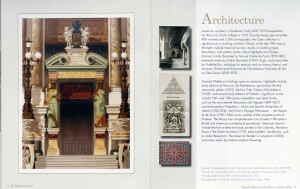 Both Myers’ and Winston’s paper art is in major collections in the U.S. and abroad, including the British Library, the Victoria and Albert Museum, and the Library of Congress. We have a small, but steadily growing collection of medieval manuscripts, both complete codices and leaves which have been cut and sold individually. 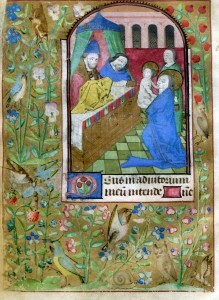 Shown here are two (of four) leaves we recently acquired which all came from the same manuscript–a fifteenth-century Book of Hours (Use of Bourges), which was once in the collection of François César Le Tellier, Marquis de Courtanveaux, the son of Louis XIV’s war minister, François Michel Le Tellier, Marquis de Louvois. 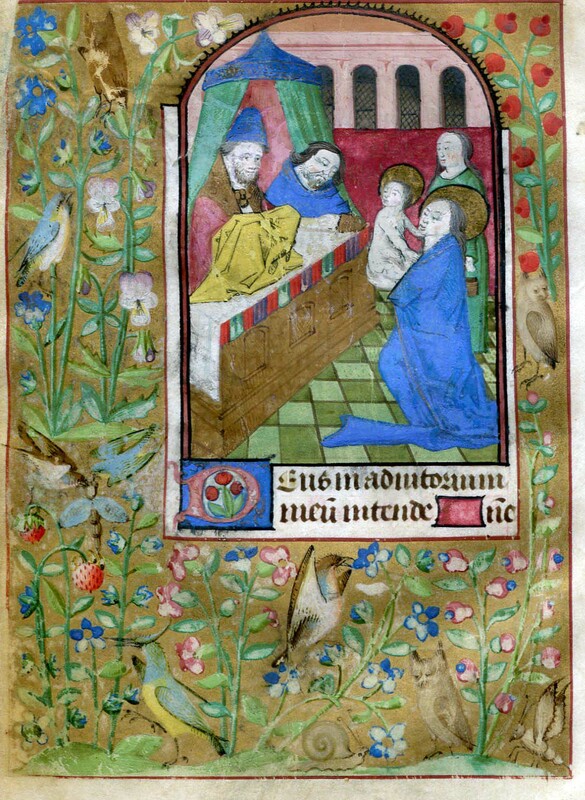 The scene is Christ’s presentation in the Temple. 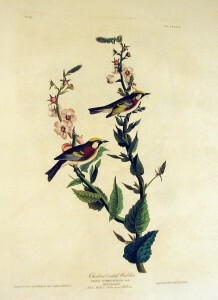 Flora and fauna used as decoration is not typical for this genre. Comments Off on Illuminated birds! The Archives has recently received a gift of books, research papers, published poems and literary correspondence from Dr. Arnold L. Lieber, Trinity College Class of 1959, a distinguished psychiatrist and clinician. Dr. Lieber retired in 2005 after a career of over 30 years as a psychiatrist in Miami and Miami Beach. He served several years as medical director of the Clinical Neuroscience Center, St. Francis Hospital and Miami Heart Institute, Miami Beach, and was also on the consulting staff of the Mt. Sinai Medical Center, Miami Beach, until his retirement. During his career Dr. Lieber published many clinical research reports and papers, including studies on biological rhythms. Included are copies of his books, The Lunar Effect (1978) with 10 foreign editions, and How the Moon Affects You (1996) with three foreign editions. 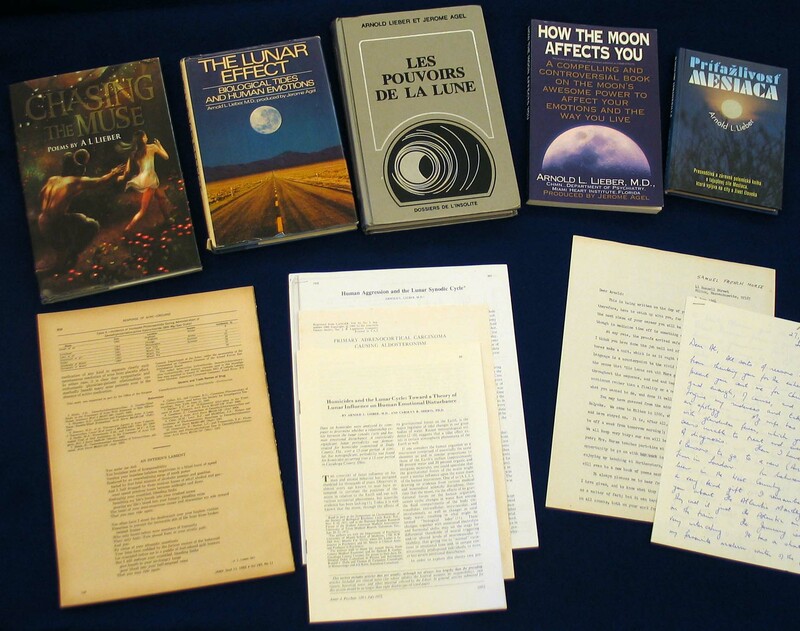 In addition there are copies of Dr. Lieber’s poems that have appeared in journals as well as an inscribed copy of his just-published collection of poems entitled Chasing the Muse. 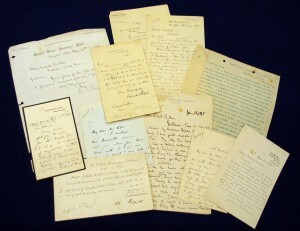 The gift also includes a small collection of correspondence with various literary figures such as Allen Ginsburg and Samuel French Morse, formerly a Trinity faculty member, as well as with members of the London school of poets he came to know during a brief sojourn in England during the 1960s. 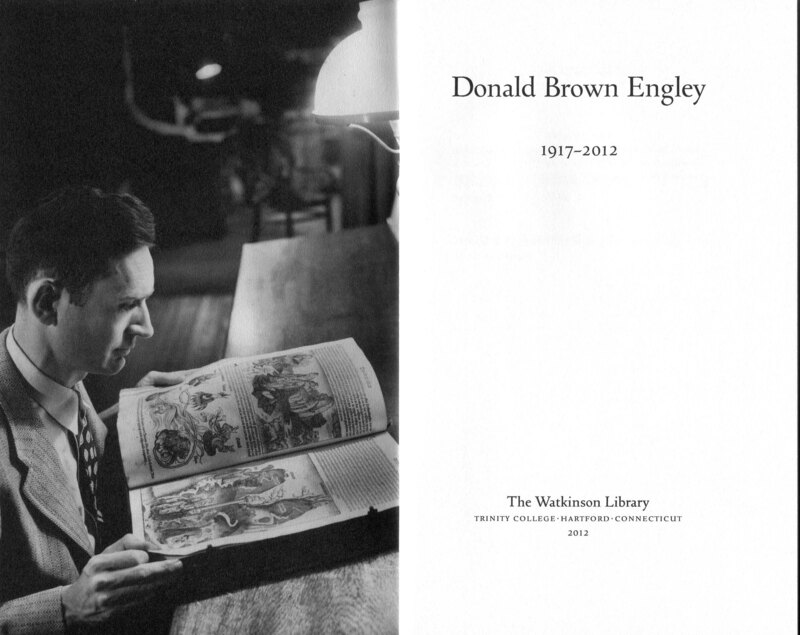 Dr. Lieber’s interest in biological rhythms complements the pre-1950 research work of Trinity biology professors Thomas H. Bissonnette and J. Wendell Burger already contained in the Archives. The Lieber gift also contributes to the wide range of archival material documenting the careers of Trinity alumni in various fields. Don’t blow your nose on it!! Thanks to both the bookseller’s description and Herbert R. Collins’s Threads of History, which is a standard reference for Americana printed on silk. Comments Off on Don’t blow your nose on it!! Reuben Gold Thwaites (1853-1913, American historical writer, two (2) letters, seeking “an Eastern publisher,” which accompanied his manuscript of Afloat on the Ohio; the book was eventually published by a Chicago firm, Way & Williams, in 1897). Comments Off on Roberts Brothers correspondence–book history! “This, kind reader, is another constant resident in the Southern States, more especially those of Mississippi and Louisiana, where it abounds during the winter months, and is found in considerable number during spring and summer. In the lower parts of Kentucky, Indiana and Tennessee, it is also observed during spring and summer; but it becomes scarcer as you advance towards the Middle Districts, where a few are occasionally seen about the low woodlands of the Atlantic shores. Except during winter, this Thrush prefers the darkest, most swampy, and most secluded cane-breaks along the margins of the Mississippi, where it breeds and spends the summer . . .
–J. J. Audubon, Ornithological Biography, I (1831), 303-304 [excerpted]. You are currently browsing the The Bibliophile's Lair blog archives for December, 2012.